Apple is notorious with patenting everything it might or might not use in the future, after one unpleasant iPod-related patent fight, which it lost in 2006 against Creative. Since then, it has been scheduling monthly meeting when Steve Jobs was around, to determine what has been patented so far and what they could file for, and this tradition continues today. We've seen solar-charging screen layers on an iPhone, presented by Wysips as far back as 2011, but now Apple is patenting integrated solar charging in the touchscreen itself. Instead of layers, the panel's electrodes serve as both touch sensors and solar power collectors, essentially allowing for the same thin devices we are used to with Apple, but with sun-charging capabilities. A smart management unit then decides if the harvested energy will go to power the phone directly on the spot, or be stored in the battery for future use. If and when are we going to see such a solar system in an iPhone or iPad remains to be seen. Check out more ways to alternatively power your handset in the slideshow below. Granted, for $60 you can get some phone juice from hand-cranked emergency radios these days, but charging gadgets is an afterthought with them, with small capacity ancient chemistry batteries inside, and flimsy crank handles. The Etón BoostTurbine 2000 is built specifically for charging smartphones, and has a 2,000 mAh lithium battery inside, which you can keep charged as a spare to top off your handset, or handcrank the BoostTurbine for just one minute with the sturdy handle to get a 30 second call or a few text messages out. There is a regular USB port, a microUSB one, and LED indicators for the charging state. Gomadic is now shipping its SunVolt and SunVolt MAX solar chargers. They ship with standard USB charging ports, and offer the TipExchange system which can put the respective ending to the cable for various device charging ports, and each tip will run you $5.95, if needed. This way you can just place different tips for a variety of phones, tablets, notebooks, digital cameras, and so on. The big difference between the SunVolt duo and some other solar charging systems so far is its efficiency and charging speed. The company claims that, on a sunny day, it will charge your phone as fast as a wall outlet, making it ideal for camping, beach, hikes and so on. The solar chargers are light, come with a water-resistant case, and can be set up in minutes. The difference between the regular version, which is $99.95, and the MAX one, which is $129.95, is the larger solar panel, which charges things 50% faster. All in all, a pretty decent price to pay for juicing up off the grid. The nPowerPEG is a 10.5" plastic cylinder that houses 2,000 mAh rechargeable battery, using the kinetic energy created by your hiking or running efforts to juice it up, and, respectively, give some jolt to your smartphone in emergency situations. It is not an effortless endeavor, as you'd have to walk half an hour for a minute of a call on a 3G network, or jog 10 minutes or so, but if you are out in the bushes or struck by hurricane Sandy, it might be worth shaking it up a little. Just don't forget it always has to be upright in your backpack to do the charging trick. BioLite CampStove sports a thermoelectric generator and... an USB port, so you can keep your phones charged and cook some dinner at the same time, burning pinecones, twigs, or whatever dry wood debris is around. The output generated is about 2 watts, which is pretty adequate and about 20 minutes of dinner-cooking with hot fire will provide an hour of 2G talk time on a phone like the 4S, for example, says the BioLite Stove maker. The thing weighs 33 oz (935 grams), so it's not too bad to lug around while hiking. When you are out camping, or simply hurricane-struck, every little bit helps in charging your gadgets, so the K3 Wind and Solar Charger might be right up your alley. With a capacious 4,000 mAh lithium battery inside, it can be juiced from the wind, the sun and the good old outlet, too. Granted, you shouldn't expect wonders from the wind and solar input when it comes to topping it off, but for emergency situations the combination of two is not something you see in a mobile charger every day. The K3 makers claim one hour of charge in the sun and wind will get you 30 minutes of talk time, which is pretty good. As the ultimate bike charging kit, the SpinPOWER S1-R from Bike2Power includes everything, from the dynamo to the USB charger and the smartphone holder. The DynaCap tech protects thinner tubes and soft-wall tires, and also reduces noise and resistance, which can get annoying on longer trips. The great thing with the Smart Voyager is that you can actually unzip and detach the charging panel, and place it on another backpack you have, or just carry only the charging part with you. Monocrystalline solar cells on quality backpacks don't come cheap, and that's precisely what the SunnyBag Smart Voyager is offering. The company has the solar panel attached to a number of trendy-looking gear, too - from messenger bags, to expensive leather endeavors for the business crowd. Ok now that's something. Integrated solar charging in the touchscreen will definitely help prolong battery life. Yes. iPhone is already efficient when it comes to battery life. iphone is very efficient with its 1450mah battery but not great. it lasts for a day like other smartphones , with this tech it may last for like 2 days with normal day light n possibilies are many , including automatic brighness in sunlight with no extra juice from battery. I wounder how they can achieve retina display using this kinda tech !! Maybe it's the small screen? Oh wait. I know it is -_- It's really obvious. It's an environmental friendly creation, but why must apple patent it? Currently they'd be better off,most s3 and note 2 users can borderline get 2 days out of their handsets. Many motorola rarz maxx users no doubt would concur,many android handsets with 2100+ batteries now last quite long. Lower level handsets might not but then at half the cost they are not meant to. Since I have a Maxx HD, I would say they could be better off depending on what phone they choose. Or if they got a phone with a removable battery. Isn't choice great? If it were a real thing, maybe. The point of the article is that Apple is patenting the "idea" right now so if someone else comes out with it, they get paid. Its moves like these that help spur my dislike for Apple. Or, if a competitor congress out with it, they can sue to ban. That's not really how patents work. Patents have to be demonstratable. You can't just patent ideas. You don't need a demonstratable device, just a blueprint that explains how it would work. Basically, you could slap a blueprint together in a matter of hours, and drive to the patent office same day. Nokia tried this out a decade ago and saw it as a wasted effort. Apple just tries to patent everything. Apple patents it now knowing quite well they won't be at the technolgical level to incoporate into the iphone for a years to come,this patent is to stop the likes of top android oems introducing in 2014 onwards! Sense. You make none. Filing a patent is pretty much a declaration of being at a "technological level to incorporate". Whether they want to based on economic or competetive factors is another story. They probably CAN incorporate it, it may just be a bit too costly for them to do it. I don't see a problem with patenting something unique they came up with. You can't have your competition ripping off your ideas. It keeps things creative. where is the prototype? I don't like the patent office granting patent because you have an idea for it. At least you have a prototype before you patent something and claim it as your own. You cannot just patent ideas. This is just a patent filing, the patent filing itself does not say whether or not a prototype exists, and it's not like Apple wants their competition or anyone else seeing prototypes. Nicely drawn sketch on a piece of paper backed by a team of attorneys and a check is a patentable PROTOTYPE in America. The idea is let someone do the real prototype and we will make money out of doing nothing .... this is becoming a typical American Business Model. As much as I hate Apple for patenting almost everything, I have to agree that you can patent ideas even without prototypes. This is very helpful to individuals who can't produce prototypes but have ideas for something great. Imagine a self-funded scientist having an idea about a spacecraft that can use gravity to power the propulsion system. He knows how it's going to be done, what's needed, etc but can't build a prototype because of financial limits. But yeah Apple's a b**** for abusing this. They will soon be patenting trousers with zippers on back side. Did you read the article? They didn't come up with it. As always, they took someone else's idea and patented it. This is such an Apple move its starting to be known as the Jobs Grab. Did YOU read the article? The article mentions putting a solar layer on top of a touchscreen already existed. 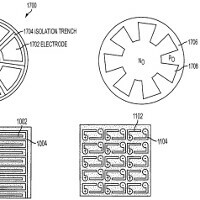 The patent is for integrating solar charging right into the display without a separate layer. They're not the same thing, and it's not at all patenting someone else's idea. If you can't comprehend the subtle differences between the two concepts you really shouldn't be taking part in patent discussions. I agree, but how about you make sure no one has made something similar and make a prototype of it yourself before patenting? Or else it gives you the power to sue just about anyone unjustly.